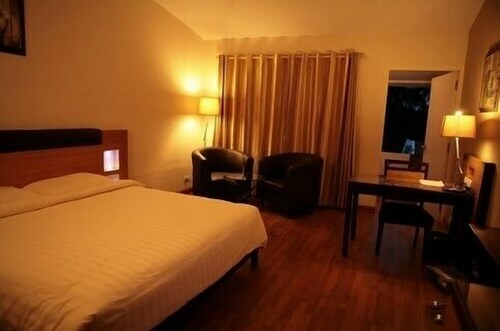 Situated in the mountains, this hotel is 0.1 mi (0.1 km) from Nilgiri Hills and 2.2 mi (3.6 km) from Ooty Lake. Thread Garden and Government Museum are also within 3 mi (5 km). This hotel features billiards or a pool table and basketball. Rooms offer showers and phones. Olives - This restaurant specializes in vegetarian cuisine.